Greetings, Groove-ophiles! 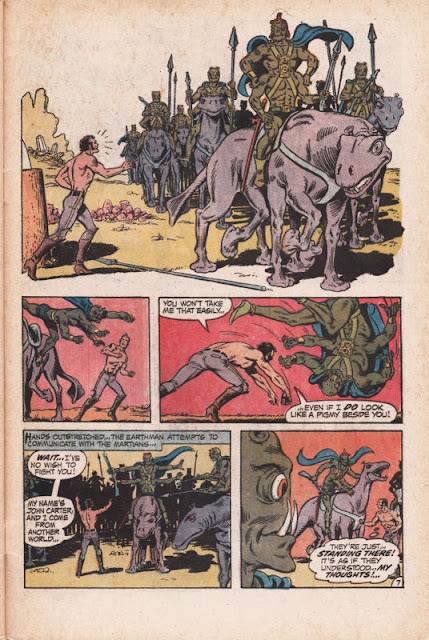 As most of you no doubt know, the great Murphy Anderson passed away on October 22 at the age of 89. 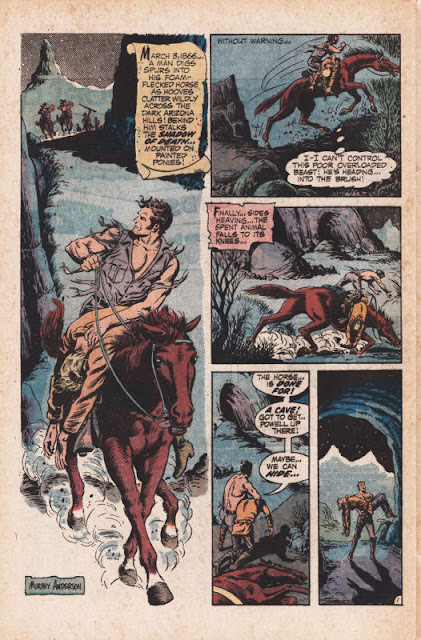 Anderson was one of the all-time masters of the comicbook form, having worked nearly his entire adult life in the field (beginning in 1944). During the Silver and Groovy Ages, nearly all of his energies were spent at DC comics as a penciler and inker. Anderson's work as an inker with Carmine Infantino (on Batman and Adam Strange) and Curt Swan (on Superman) are the stuff of legend, while his solo art on strips like Hawkman, the Spectre, Korak, and the Atomic Nights are also held in extremely high regard by most of fandom. He also founded Murphy Anderson Visual Concepts in 1973, supplying color separations and lettering for many comicbooks. His powerful, yet elegant, inks were immediately recognizable and always top-notch. Ol' Groove (and many of you who commented on our Facebook page) felt that it was fitting that we devote and entire week to Anderson's amazing talents. Today, we're going to take a look at Anderson's pencils and inks on John Carter of Mars, from the back of Tarzan #207 (February 1972). 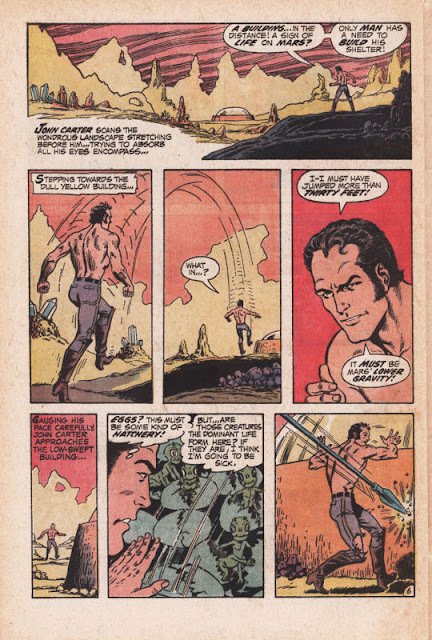 Anderson drew the strip in issues 207 and 209, then in Weird Worlds issues 1 (with Alan Weiss), 2, and 3. Gorgeous stuff--especially the debut strip, "Arrival! ", plotted by Marv Wolfman and scripted by Joe Kubert (based, of course, on Edgar Rice Burroughs' A Princess of Mars). Enjoy! Great idea for a tribute. 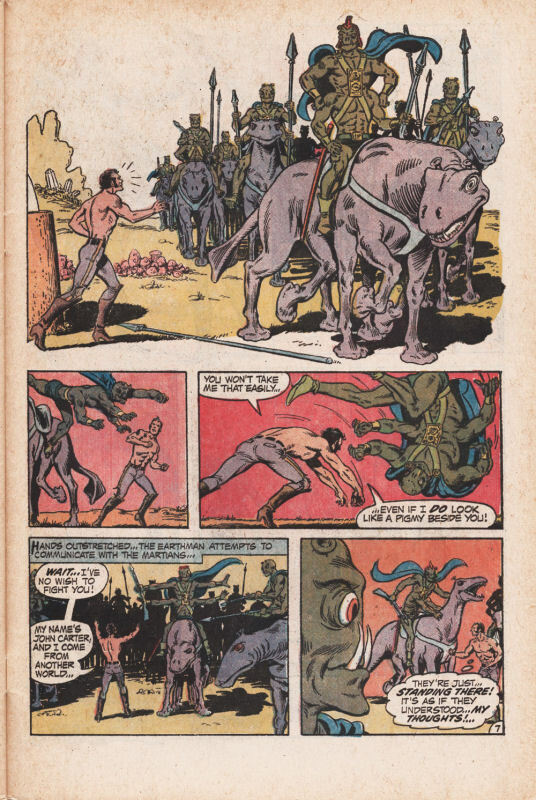 And this is such a great choice for a first post, since it both highlights Anderson's talent as both penciler and inker, and features a project that was apparently near and dear to his heart, as he really liked Burroughs' John Carter novels. 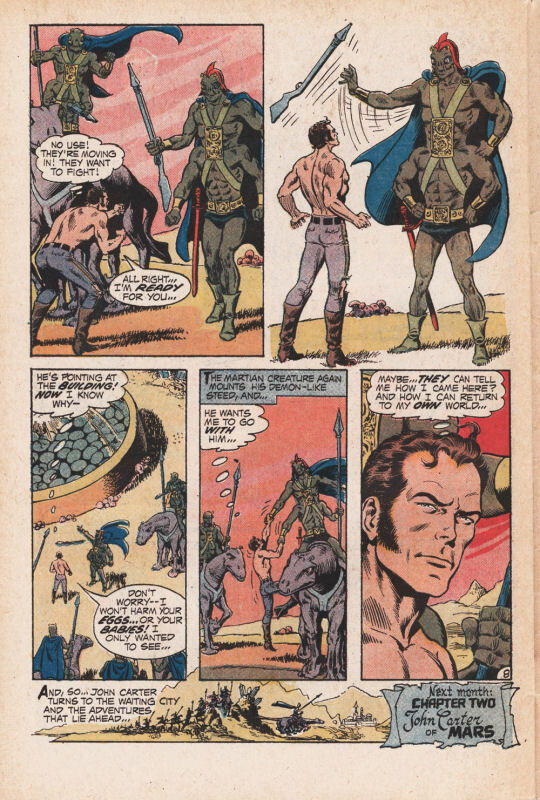 I'd don't know that I'd say Murph's contributions to Batman were the "stuff of legend," as his work constituted mainly inking Infantino's covers, as well as doing promotional material during the "Batman" TV show days. Much more legendary were his artwork (pencils and inks) on Atomic Knights, or his inking of THE ATOM over Gil Kane's pencils. He also did "legendary" inking of Sekowsky's JLA covers. Basically, any comic book that Murphy had a hand in was one definitely worth reading! You didn't say it, Dave--I did! ;D The merchandising is what I was thinking of. Shoot, if all Anderson had ever done was ink the art that was used on the cover of Batman from the 30s to the 70s, I'd stand firmly by my use of legendary! I'd say the merchandising artwork and promotional material are iconic. 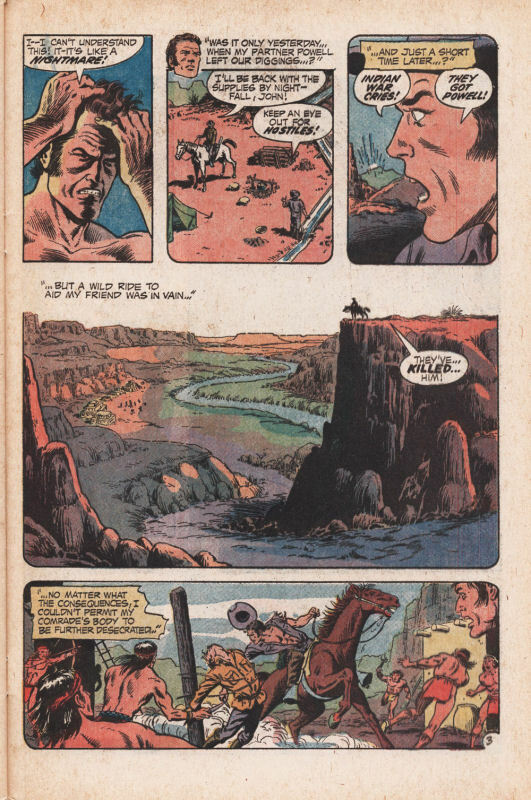 In 1966-67, that image was familiar even to people who did not read comics. Iconic is a much better term for the point I was trying to make, TC. Thank you! I met Murphy Anderson twice at conventions in Chicago and Kansas City (I get around). He was always friendly and humble. It's too bad he worked almost exclusively for DC. 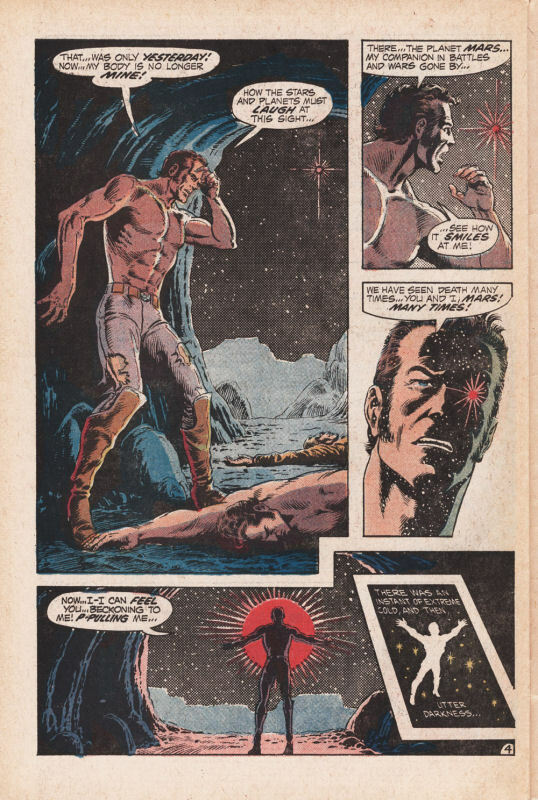 I would have loved to see him providing finishes over the Buscema brothers (just as I would have loved to have seen a Curt Swan/Joe Sinnott combination). Great artist. 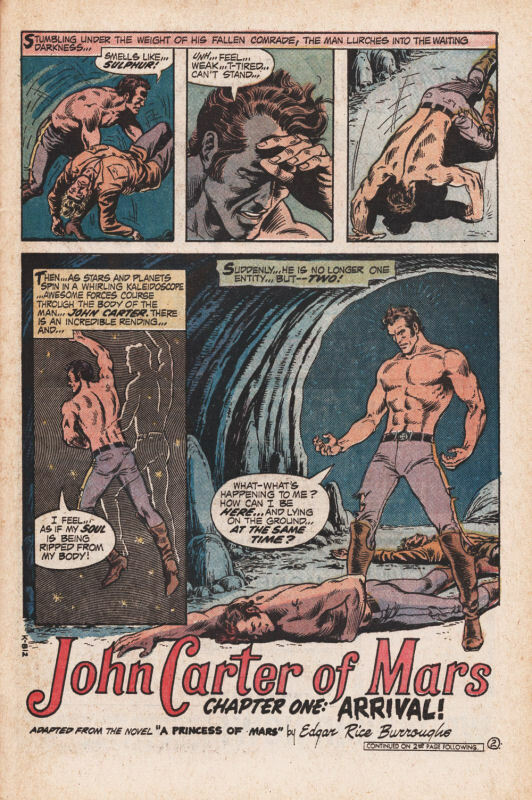 Murphy's version of John Carter was the very first Carter's comic I read as a kid, well, just a few episodes in the italian "Tarzan" comic book (mid seventies). 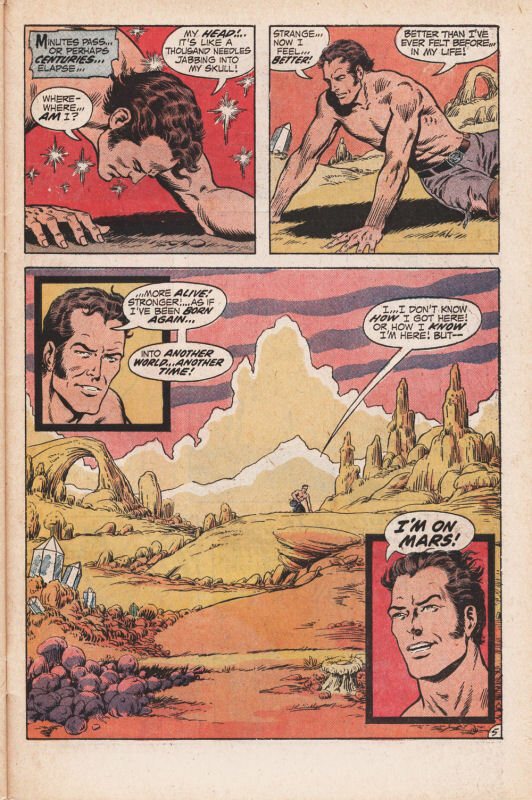 I've always thought he was a great, underrated artist, and that his Carter was perhaps better than Gil Kane's version (am I swearing?). Never read the first episode. so thanks a lot for sharing.